Dr. Amy R. Hall received her doctoral degree in clinical psychology from the Forest School of Professional Psychology in Springfield, MO. Her internship experience was gained at Dixon Correctional Center in Dixon, IL. While there she worked with a diverse population of adult males in individual and group settings (group included: parenting, anxiety, smoking cessation, sexual perpetrators). 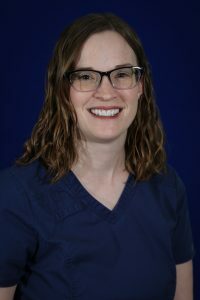 She completed a post-doctoral residency at Federal Medical Center in Rochester, MN where she gained experience in forensic evaluations, substance abuse treatment, and group therapy. However for the past seven years her focus has changed to the treatment and care of children, and adolescents. Prior to coming to CCNC, she was employed in outpatient settings providing psychological testing and individual, group, and family therapy to a child and adolescent population. Her psychological testing experience includes: competency evaluations, testing to assess for cognitive and achievement abilities, learning disorders, mood and behavioral disorders, and personality disorders. Dr. Kristina A. Hobby earned her doctoral degree in Clinical Psychology from the Florida School of Professional Psychology in Tampa, FL. She has passion for working people in general and more specifically, areas of trauma, family and couples issues, children and adolescents, and body image/self-esteem. She also has experience in providing psychological testing to assess for cognitive and achievement abilities, learning disorders, mood and behavioral disorders, and personality disorders. In addition to her work with patients, Dr. Hobby also supervises future mental health professionals. She is currently a member of the American Psychological Association. Prior to coming to CCNC in 2008, she did her pre-doctoral training at the Center for Group Counseling in Boca Raton, Florida. 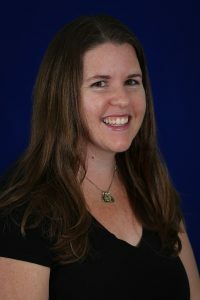 During her graduate training, Dr. Hobby served as a teaching assistant, volunteered as a mentor for the Big Brothers and Big Sisters Program of Tampa Bay, did volunteer research on “real beauty” and dolphin behavior, as well as developed a suicide risk protocol and provided outreach presentations for the University of South Florida Counseling Center. 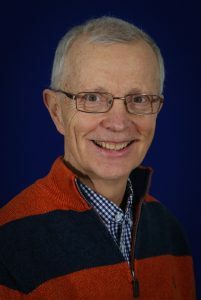 Dr. Alan J. Crist received his doctoral degree in Clinical Psychology from Auburn University in Auburn, Alabama in 1995. He received his Master’s Degree in 1990. He completed an internship at the University of Texas Medical School in Houston, Texas. He has worked with clients in outpatient, partial hospitalization, residential, inpatient, rehabilitation, correctional, and student counseling settings since 1988. He has worked with children from preschool to high school ages, working for the past 6 years at a state hospital pediatric unit. He has also worked with geriatric, adult, youth, and child populations. He is a member of the American Psychological Association since 1997. He supervised interns at the APA-Approved Utah State Hospital Internship 1999-2009, and taught annual 8 hour training on the Rorschach Inkblot test for 7 of those years. 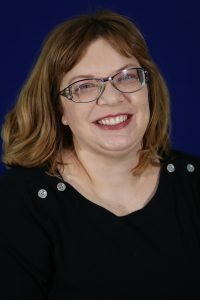 He has extensive experience working with the severely mentally ill.
Dr. Jessica Spaeth received her doctoral degree in Clinical Psychology from James Madison University, Harrisonburg, Virginia in 2012. She received her Master’s Degree in Counseling Psychology from Trinity College Dublin, Ireland in 2008. She completed her APA-Approved Pre-doctoral internship at the University of North Carolina at Chapel Hill’s Counseling and Wellness Services and completed a post-doctoral residency at the University of North Carolina at Chapel Hill’s Department of Psychology. She has worked with children from preschool to high school ages in both public school systems and outpatient clinics, as well as worked with adult and geriatric populations in outpatient, hospital and college – level academic settings. Dr. Spaeth has experience providing both therapeutic interventions to children and adults, as well as experience providing psychological testing for cognitive abilities, learning disorders, mood and behavioral disorders, as well as personality disorders. She also has experience supervising bachelors, masters and doctoral level interns for both therapy and psychological assessment experience. Dr. Carissa J. Marsh received her doctoral degree in educational psychology from the University of Wisconsin – Milwaukee in Milwaukee, WI. Her concentration was in school psychology. She completed an internship with the Louisiana School Psychology Internship Consortium where she worked as the school psychologist in several schools in Jefferson Parish. There she gained experience in psycho-educational testing and implementing social, behavioral, and educational interventions. Prior to coming to CCNC, Dr. Marsh worked in public schools to help determine special education eligibility of students. She has experience with preschool through high school and conducting evaluations for students with learning and cognitive disabilities; behavioral, social/emotional, and autism spectrum disorders. Dr. Lee Walker received his doctoral degree from the University of Texas at Austin in 1978. He has held a number of positions including Director of Child and Adolescent Services at the Cumberland County Mental Health/Mental Retardation Center, Director of Psychology at the Wake County Mental Health Center, field supervisor for the Department of Psychiatry at UNC-Chapel Hill, Clinical Director at Wake Family Services, Mental Health Consultant for Kittrell Job Corp Center, and an adjunct faculty member for both North Carolina State University and Webster University. He has served as a psychological consultant to numerous local, state, and federal law enforcement agencies agencies. 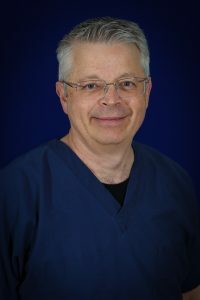 In addition, Dr. Walker maintained a private practice in Cary, NC from 1984 until in 2008. Dr. Walker is also certified by the Council for the National Register of Health Services Providers and holds diplomats from the American Board of Professional Psychology with a specialty in Couples and Family Counseling and the American Academy of Experts in Traumatic Stress.